This week, I’ll be busy adding lots of lovely new stock to my ASOS Marketplace shop and my boutique website. 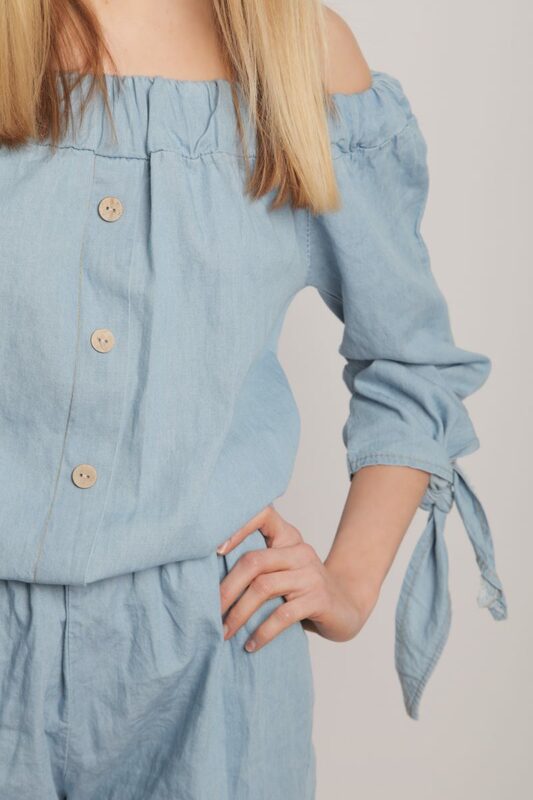 I have a couple of new lines which I’m excited to share, and this cute off-the-shoulder playsuit is just one of them! Last year, I didn’t jump on the off-shoulder trend (or cold shoulder as some like to call it) as I thought it could be a fast fashion phase which wouldn’t take off. I’m also not a huge fan of bearing my shoulders. However, I hold my hands up – I was wrong. The trend is huuuuge and is down to be a biggy for this Summer too! So I decided to get a nice, fresh faux denim style for my little online boutique. This one would look great throw over a bikini with sandals or wedges and a beach bag, or paired with stilettos and an oversized clutch bag for a more dressy feel. It’s not online just yet, but will be launching this week, so keep your eyes peeled!